1. I found a super fun lace dress at Target the other day. I almost wore it with black wedges but then I realized I'd be wearing all black and that wasn't going to happen! 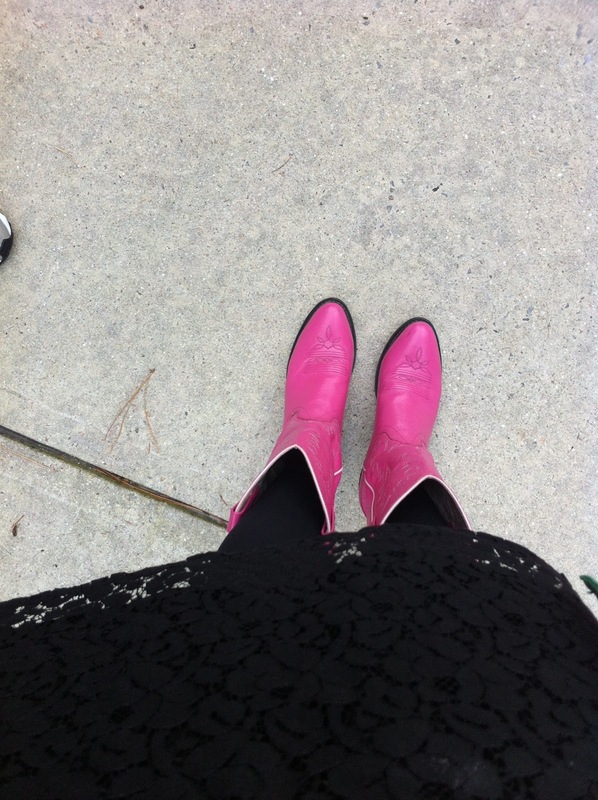 So I paired it with pink cowgirl boots, of course! 2. 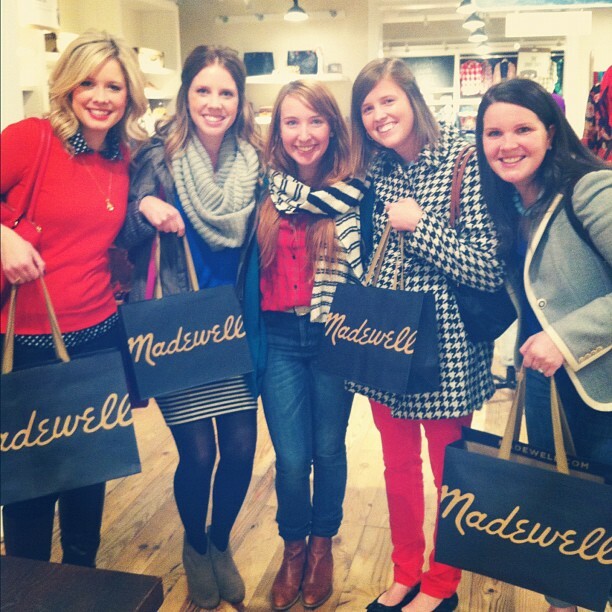 I attended a Madewell event earlier this week hosted by my dear friends Kate and Lauren. I had such a blast trying on clothes and came away with some clothes that I absolutely loved! 3. Kate found a cat scarf which cracked me up so no end. She didn't end up buying it but her and Lauren walked away with other cat merchandise, go figure! 3. I've been working on leaving my clothing comfort zone lately and thus rocked some grey polka dot pants and bright bow shoes. Every time I looked at my shoes, it made me smile! 4. Lately, I've been living in the library sending emails and catching up on life. I bought a new notebook and sharpies and realized that its the little things in life that make me happy! Oh I super love the pink boots! Presh! love those yellow bow flats! pink boots and yellow bow flats = both shoes we own. SOEXCITEDFORLUNCHNEXTWEEK! those yellow shoes are super fun! Oh I just love sharpies! What is it about them?! Fun post these are things to be happy about. Love it! Those polka dot pants are killer! Where did you find those?! Oh my gosh, you're adorable! Love the boots, lace, polka dot pants and bright shoes!! Such a great post, I agree it is the little/simple things in life! Love your polka dot pants! Such adorable photos- I love the yellow bow shoes!! Lovely blog! I just ordered one of your bubble necklaces and LOVE it. I've received so many compliments on it!